In case your are not 100% sure how transposition works, I’ve put together this concise saxophone transposition guide to clear things up. Click here to get a downloadable pdf of this guide. The saxophone is a transposing instrument. This means that notes played on a saxophone will sound different from a note of the same name played on another instrument such as the piano or guitar. We refer to those instruments that don’t transpose as being in “Concert” key or the key of C.
*Tenor and soprano saxophones are in the key of B-flat. This means that when you play the note C on a tenor or soprano saxophone, the note that is heard is actually a B-flat. *tenor saxophones sound an octave lower than shown in the examples. The examples reflect how saxophone players typically visualize and think about transposing. So if you are playing along with other musicians or a backing track, and they are in the key of B-flat, you will want to play in the key of C on your tenor or soprano saxophone. The interval between the note or key that you play in (on a transposing instrument) and the actual note or key being heard (concert key) is constant. For any B-flat instrument, you want to be playing notes that are 1 whole step (or 2 half steps) above the concert or “heard” note. In the following example, the music is in the key of G.
So on our B-flat saxophone we need to transpose up a whole step putting us in the key of A on our instrument. This means that when you play a C on your alto or baritone saxophone the note that is heard is actually an E-flat. 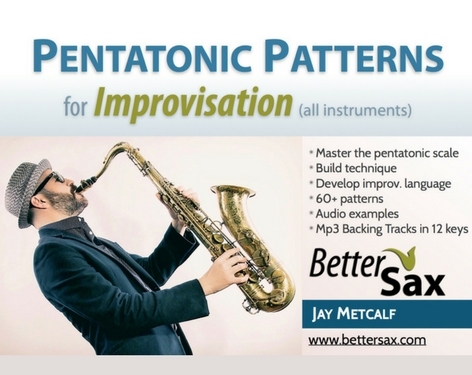 *alto saxophones sound an octave lower than shown in the examples. Baritone saxophones sound 2 octaves lower. 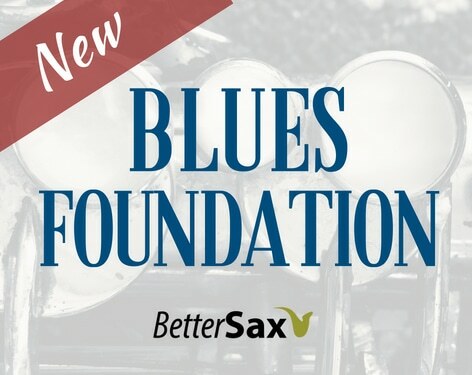 The examples reflect how saxophone players typically visualize and think about transposing. For any E-flat instrument, you want to be playing notes that are a minor 3rd (or 3 half steps) below the concert or “heard” note. In this example the music is in the key of G.
So on our saxophone which is in the key of E-flat we need to transpose down a minor third which would put us in the key of E on our instrument. As saxophone players, we need to be able to calculate this transposition instantly so that we can play with other instruments that are in concert key like piano and guitar. For example, if you are playing with a group and they tell you the next song is Stand By Me in the key of A, you will need to transpose. Can you do it in your head right now? The chart below represents each of the 12 notes or keys. They are arranged chromatically in a circle like a clock. Each hour position ascends a half-step as we progress clockwise and descends a half step in the counter-clockwise direction. Use this chart as a guide to transposing on your saxophone. 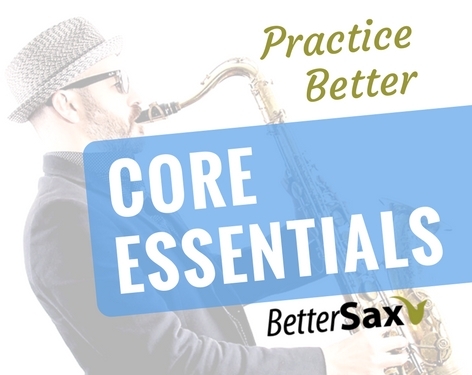 If you play a B-flat instrument like tenor or soprano saxophone, you will need to go up clockwise 2 positions from the “Concert” key or note. 1. If the Concert key if F, what key will you be in if you play tenor saxophone? alto saxophone? 2. 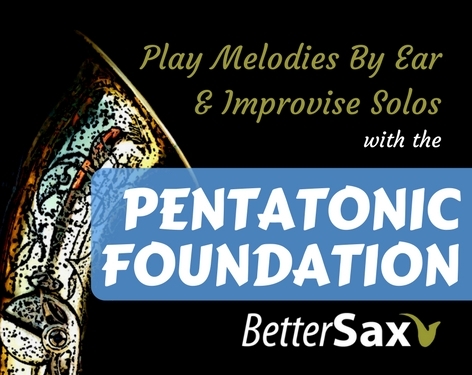 If the Concert key is Ab, what key will you be in if you play the baritone saxophone? soprano saxophone? 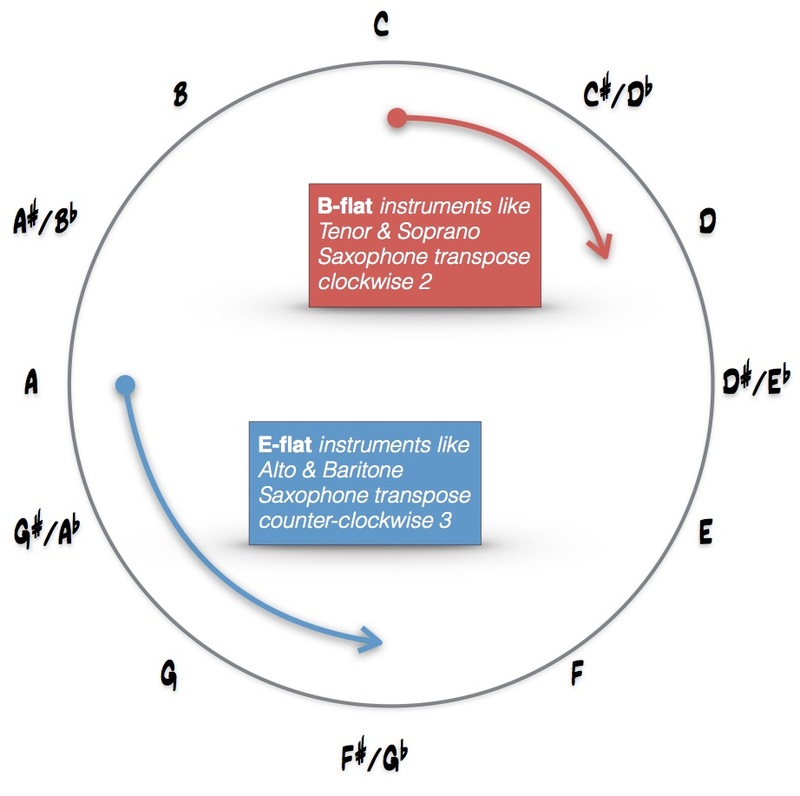 I’ve tried several times to make sense of the circle of fifths and how to transpose properly and quickly, but never had much success, it always seemed complicated. After reading you Saxophone Transposition Guide, I had it all figured out in five minutes. You’ve made it Incredibly simple and it made sense straight away. Thank you, great guide to read. I’m glad to hear that. These things always seem complicated for a while until they don’t. I think I had someone explain it to me that way a long time ago and it was then clear. Thank you for your time Jay. Could you clarify how to transpose Minor Keys on the Alto Sax. I know on Major keys you go 3 half steps down, but when the Key is a Minor Key how do you do it. i.e, if you are in Concert Key G minor, do you count 3 half steps to play the E minor scale on the Sax which is actually the G major scale, or do you just use the relative Major of G minor which is Bb and then count down 3 half steps which take you back to G. Could you explain. Thank you again. Transposition for alto sax or any instrument is constant. It never changes regardless of minor or major keys. You always transpose the interval of a major 6th up (minor 3rd down). So if the key is G minor concert, you will be playing in E minor on the alto saxophone. This is awesome! you are indeed a great tutor. IN TRANSPOSING ON THE ALTO SAX DO YOU GO 6 UP OR 3 DOWN? I PLAY ALTO SAX AND ALWAYS UNDERSTOOD IT WAS 6 UP WHICH IN TRANSPOSING WILL PUT YOU USING THE OK KEY TO GO UP ON D. IF I GO 3 DOWN i WOULD BE GOING UP USING THE OCTAVE KEY LESS OFTEN. I WANT TO PLAY IN CHURCH AND i GIVEN THE KEY THEY PLAY IT IN THEN I HAVE TO TRANSPOSE. APPRECIATE YOUR HELP IN THIS MATTER. It is officially a major 6th up. However it is generally much easier to think of a minor 3rd down (interval inversion) when transposing on sight. You will then make the octave adjustment on your saxophone as necessary. Pam, I play on a worship team too! Cool! I always transpose down. It is easier and quicker, especially because the people playing in the concert key do not accommodate for us that have to transpose very well. For B-flat horns, add 2 sharps or take away 2 flats from the key signature. For E-flat horns, add 3 sharps or take away 3 flats. IN MY QUEST FOR KNOWLEDGE ON SAXOPHONE TRANSPOSITION, I FOUND THIS PIECE. AS A BEGINNER, IT SOUNDS SO CLEAR AND WILL SURELY HELP ME GREATLY. That transposing chart is printed out and on my wall, thanks.